You’re a dreamer and a hustler at heart. You’ve got big plans and goals you want to achieve in life and business, but you’re struggling to make it happen. It’s okay if you feel this way, it’s completely normal actually! You’re so not alone in this. You feel too tired, busy and broke to do this. Would you believe me if I told you I’ve been there? And that I can help you overcome all of these challenges and more? Let’s be real for a minute, building your dream life and business is challenging AF. There will be days you want to cry, give up and feel like you can’t do this (*hands you a tissue* ), but I promise you there will also be days where you’ll feel incredibly motivated and on fiyah (*hands you the glitter*). Getting started and believing that you can are the hard parts, but once you do, you become unstoppable. And trust me, if I can do this, so can you! Hey boo, I’m Nadalie and I’m here to help you slay your goals, so you can live your dream life with confidence + action. My philosophy is simple, it’s all you boo. 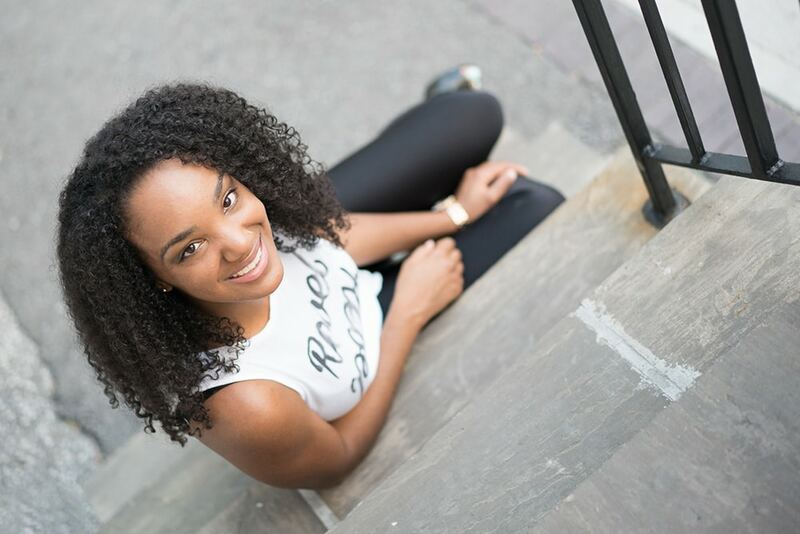 Having slayed my goals of completing grad school, having a successful side-hustle, and escaping the 9 to 5 to become a full-time blogger with a profitable online business, I know a little something about what it really takes to achieve your goals. I also know that it is way too easy to get caught in the planning trap. I would try to get started, but I was held hostage by my fears, start doubting myself, then chase yet another solution which always led me right in front of a blank document, cursor blinking at me, ready to plan yet AGAIN. Achieving your goals is only 20% setting them, but 80% slaying them. Pretty and perfect plans (or planners), indecision and perfectionism do NOT get you there. Doing whatever it takes to push past every excuse, gain confidence to finally take action, DOES. I stopped searching for the “secret sauce” in every course, planner, an expert out there, and instead focused on implementing all that I already knew. And trust me, YOU know way more than you think you do. I realized success wasn’t found without, but within. Those whys are who and why you are, your amazing abilities and what you have to offer the world just as you are, your dreams and motivations for making a difference and changing your life All that good stuff that makes you, you. Everything that’s within you, just waiting for you to believe it’s there. In 2016, I founded It’s All You Boo, dedicating it to all the dreamers and hustler just like you because I believe wholeheartedly that the secret to your success is you. 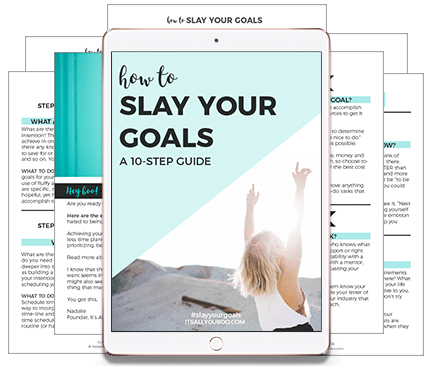 Since then, I’ve created the Printable Slay Your Goals Planner, a 60+ page Printable that helps you transform your biggest dreams, into action. Right now, just as you are, you are enough! Yes even if right now you’re a hot mess, falling apart and still don’t think you can actually do this. Even more so, if you’re going at this alone, with limited resources, up working late nights after work, school or while the kids are asleep. I know you might not believe me just yet, seeing as we just met and all, but you got this! Okay, ready to finally slay your goals? Join 4,000 others in It’s All You Boo’s VIP Tribe and receive weekly tips to help you slay your goals, plus enjoy VIP Perks, including the Slay Your Goals Guide. 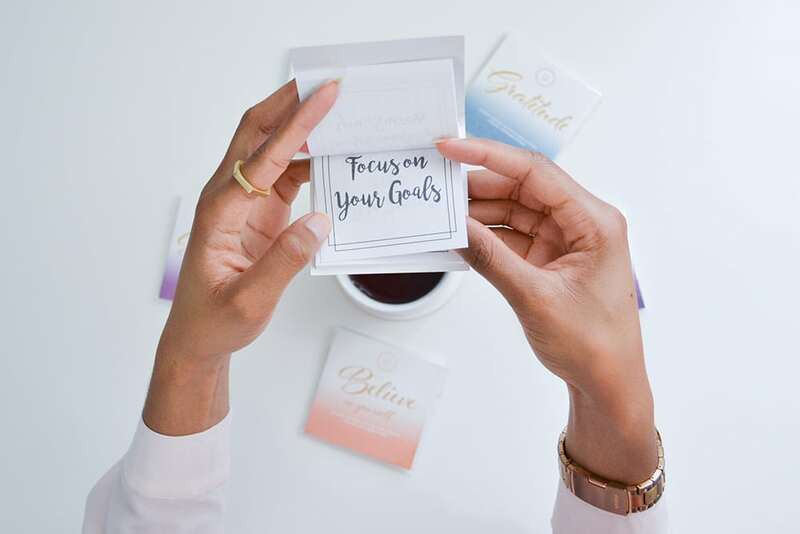 Subscribe below to get started right now with the FREE Slay Your Goals Guide which outlines the 10 steps you need to take to achieve your goals this year. Subscribe below to join our VIP Tribe, plus get instant access to the 10-step guide.